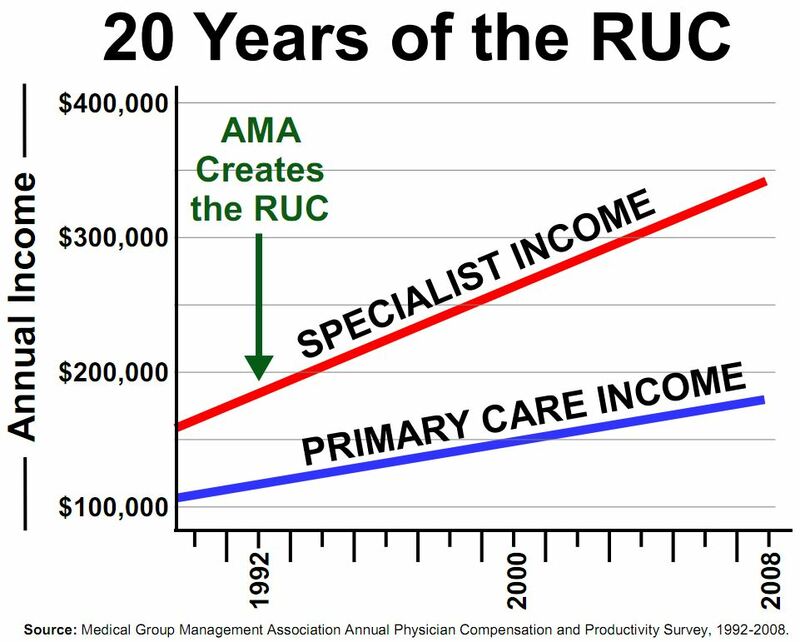 The RUC – Providing Valuable Expertise To The Medicare Program For 20 Years** | Replace the RUC! 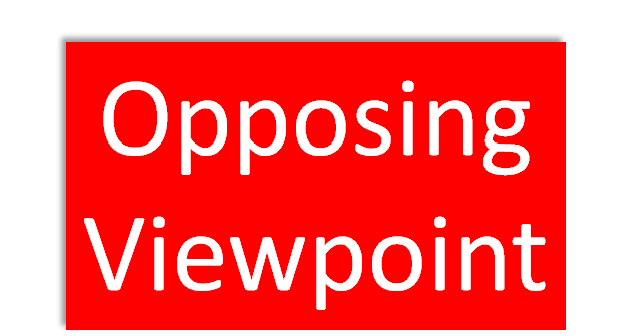 Today, much of the dialogue related to Medicare payment refers to the need to infuse value into the system. Medicare beneficiaries and American taxpayers deserve the best care possible, while conserving limited resources to ensure the long-term viability of the program. Confusion persists, however, regarding how values are assigned to physician services under the current Medicare payment system, as well as the impact that this process actually has on payment levels for physicians of different specialties. As policymakers and others consider alternative payment models, it is critical that the mechanisms that are used to update the current fee-for-service system are better understood. The current system, which operates under current Medicare law and regulations, measures the cost required to provide a service and does not factor in the value of a service to society. 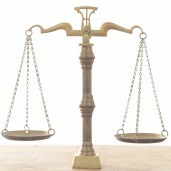 It uses a Resource-Based Relative Value Scale (RBRVS), which is a data-rich approach created by Congress, researchers at Harvard University, and the Centers for Medicare and Medicaid Services, to measure the differences in resources — things like physician time, intensity and practice costs — required for approximately 7,000 services, things such as how much physician and nurse time are required to provide an office visit or what supplies are used when repairing a wound. This information is then used to quantify relative values, which are then adjusted geographically and multiplied by a dollar conversion factor, determined by Congress, to derive the payment for each of these services. The American Medical Association and national medical specialty societies created theAMA/Specialty Society RVS Update Committee, also known as the RUC, to ensure that clinical expertise was utilized in this payment system. The 29 volunteer RUC members are supported by advisers and staff from more than 100 national medical specialty societies and health care professional organizations. At no cost to taxpayers, these practicing physicians generously volunteer their time; collect data; pour over detailed itemizations of each individual supply item or task performed in physician offices; and debate how these resource costs compare to other established procedures. The RUC submits recommendations to CMS for consideration each year, but the agency is not obligated to accept them. More than 300 representatives from specialties, government and research institutions participate in the process by which they are developed. In addition, the general public is able to comment on individual procedures, and processes are in place to ensure that input from all stakeholders is considered by CMS. Finally, the AMA ensures transparency of the process, making the data and rationale for each RUC recommendation publicly available. As a result, the panel’s recommendations have been held in high regard for years — bolstered by its strict adherence to CMS rules and the excellent expert advice it provides. In considering the challenge the RUC members face, a key point to remember is that the Medicare physician payment system is ultimately budget neutral. Therefore, if the RUC considers increases to valuation for one service, the valuation of all other services will decrease. When reviewing requests for large scale increases that will impact all of medicine, the RUC deliberations are fair, but also can be understandably difficult. For example, when the RUC concluded that major increases to office and hospital visits were warranted in 2007, it came about following serious debate. In the end, more than $4 billion was redistributed to these primary care services from other services. The March 2011 MedPAC Report to Congress explains that payments to primary care have increased by more than 20 percent since 2006, in part due to the RUC recommendations. The RUC also has submitted recommendations for medical home and care coordination services, such as telephone calls, that have not been implemented by Medicare. Private payer payments may be based on use of the RBRVS, but their conversion factors are usually different than that of Medicare and are often based on supply and demand, with specialists commanding higher payments. 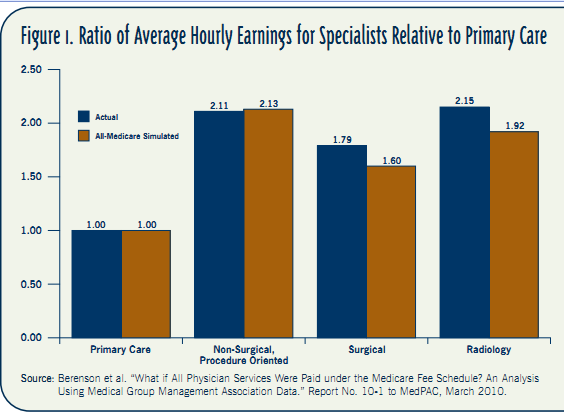 Many factors are well beyond the control of the RUC are significant contributors to the current income differentials between primary care and specialty medicine. Finally, the RUC continues to be concerned that individual services not be overvalued and has stepped up its efforts to address any misvaluation, providing more opportunity for redistribution and increase in payments to primary care services. To date, more than 900 physician services have been identified by the RUC for this review, remedies such as bundling services performed on the same date into one payment and decreasing relative values for other services have led to more than $1.5 billion in additional redistribution, most of this implemented in 2011. This tremendous effort requires the cooperation of specialty societies. All physicians who serve Medicare patients are facing an across-the-board cut of nearly 30 percent next January. At the same time, medicine has been asked to continue to find resources within existing services to fund increases to other services, which is why the efforts of the RUC remain so valuable. The AMA will continue its ongoing work with policy-makers to provide stability for physicians and their Medicare patients. The AMA is also committed to the development of other emerging payment models that may better align incentives for high quality and high value care. Barbara Levy MD is Chair of the AMA/Specialty Society Relative Value Scale Update Committee.